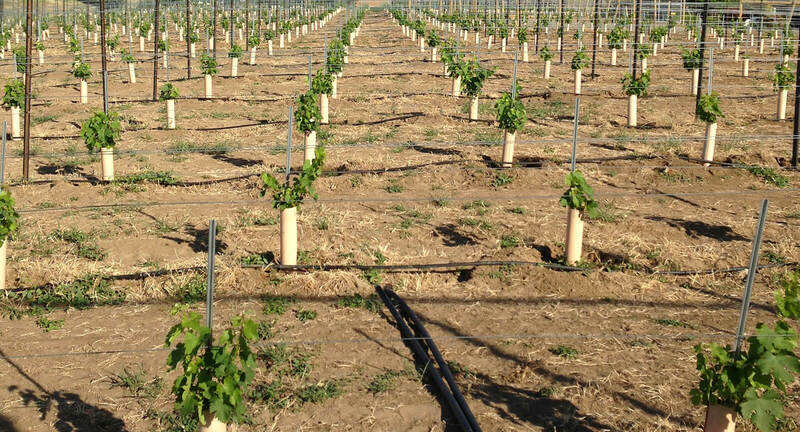 The first vineyards in the Lewis-Clark Valley were planted as early as 1872. 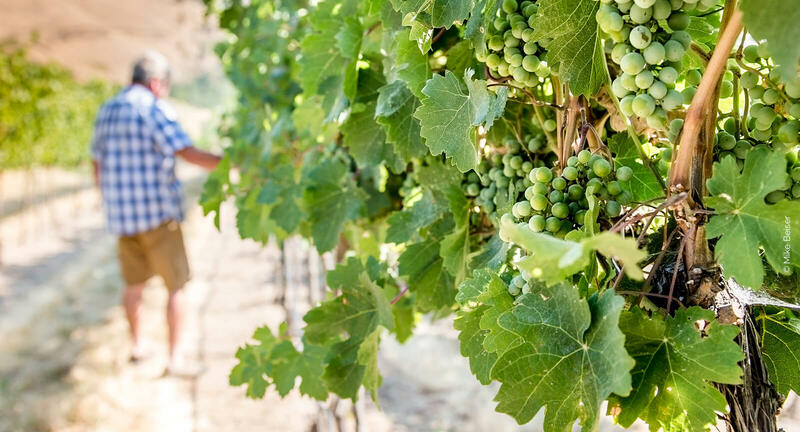 The Lewis-Clark Valley AVA is home to 16 vineyards growing nearly 100 acres of grapes growing approximately 20 unique varietals. 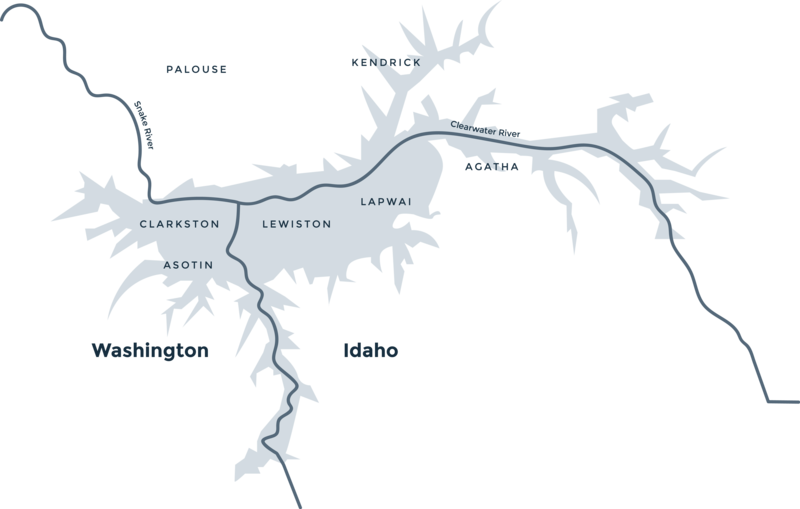 The Lewis-Clark Valley AVA (L-CV AVA) is in northern Idaho and a contiguous area of southeastern Washington State and consists of canyon side and low bench lands formed by the Snake and Clearwater rivers above and just below the rivers’ confluence at the towns of Lewiston, Idaho and Clarkston, Washington. 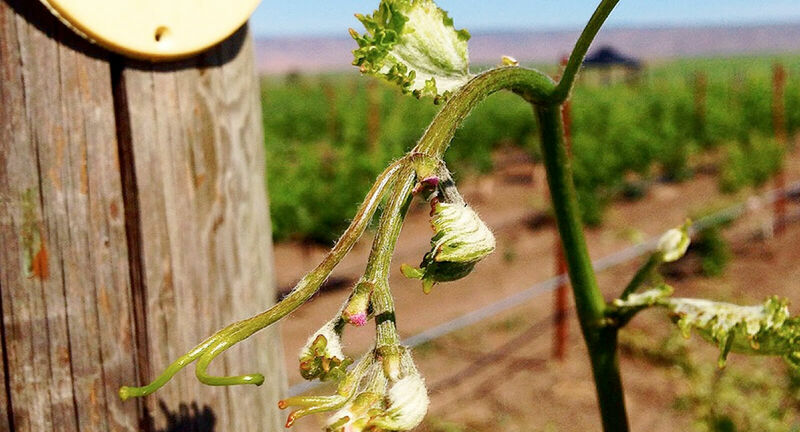 The Lewis-Clark Valley has been known as a temperate-climate area that can produce high quality grapes. In common parlance, it is called ‘the banana belt’ of the inland Pacific Northwest for its warm, equable climate. Varying average number of growing degree days, from 2600 to over 3000, sufficient to ripen late-season varieties (Cabernet Sauvignon, Grenache, more) in the hotter zones, and providing cooler zones for ripening earlier season varieties (Chardonnay, Pinot Noir, Merlot). Extended growing season of 7.5 months, on average. Mean annual precipitation of 17 inches, varying from less than 10 inches per year in the dryer spots to over 20 inches a year in the northeastern section of the AVA. The greatest precipitation accumulation occurring between the months of November and May. Steeply sloping canyon side landscapes have strong topographic relief above the valleys, allowing good external air drainage for cold air and creating good internal water drainage that creates well-drained soils because the basalts are deeply fractured and the majority of soils have loamy textures. Loess forms the majority foundation for the cultivated soils of the Lewis-Clark Valley. Perennial bunchgrasses with deep penetrating masses of fine grass roots in a semi-arid climate have produced Mollisols on about 95% of AVA region. Soil depths vary between the steep canyon lands, low plateaus, and bench lands of the Lewis-Clark Valley, but the overall shallower depths of the eroded canyons make a for a limited, and beneficial, rooting zone for wine grapes. Details of every aspect of the cultivation and performance, year by year, of 16 varieties of Vinifera grapes and 10 French-American hybrids, weather patterns and climate characteristics and results of winemaking.